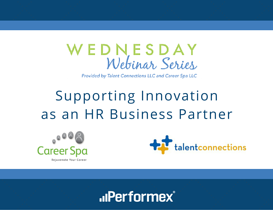 This week, our President and Chief Operating Officer John Bruce partnered with Talent Connections, LLC and Career Spa, LLC to present, "Supporting Innovation as an HR Business Partner" in their Wednesday Webinar Series. To become an indispensable asset to an organization, a leader must not only present quality ideas and plans linked to company strategy. 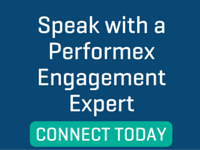 In order to gain buy-in and successfully implement change, he/she must dedicate time to building relationships across the organization. Excellent communication and influencing skills are critical as well. Are you seeking strategies for driving innovation in your organization?